Ramdung Peak, also known as Ramdung Go, is a standard trekking Peak situated in Rolwaling region in Dolakha district. Ramdung Peak, at 5925m, is a perfect trekking peak for beginners. It is said that Ramdung Peak comes under the group B class ascending peaks. The core magnetism of Ramdung Peak is its panoramic and stunning scenery of Peaks such as Everest, Langtang, Gauri Shankar, Menlungtse, Chobabhamre and so on. Ramdung Peak climbing offers superb Himalayan views of Rolwaling region. It is the finest peak for ascending in Rolwaling region. It requires two nights of camping. The initial camp could be customary beneath the Yalung La. On the same path, the second camp is on the glacier. The standard route for climbing Ramdung Peak is through the glaciers on the Northeast flank. The trek to Ramdung Peak is considered a strenuous trek as it entails great level of physical ability to climb the peak, though, the climbing does not require much physical fitness. It does, however, require much determination and a passion for the outdoors. Ramdung Peak is an idyllic target to summit in the less busy Rowling region. Fewer tourists visit the area, so you will have much of the trail all to yourself. Ramdung Peak climbing permit fee. High altitude climbing leader (Sherpa guide) licensed by Nepal Mountaineering Association (NMA). Necessary porters to/from base camp. First aid medical kit, oxymeter, etc. Travel insurance (for emergency evacuation if needed whilst trekking / climbing). Personal expenses such as laundry, telephone, internet, etc. Day 01Arrival at Tribhuvan International Airport, Kathmandu On the 1st day, you will be received at the Tribhuvan International Airport in Kathmandu upon your arrival at the Airport. From the Airport, you will be transferred to the hotel where you will be made familiar with the detail itinerary. Overnight stay at a hotel. Day 02Sightseeing in Kathmandu Kathmandu Valley includes several UNESCO World Heritage Sites, including Pashupatinath (famous Hindu temple and cremation ground) Boudhanath (massive Buddhist stupa). We can also visit Swyambhunath, also known as Monkey Temple, which was built roughly 2000 years ago. Finally, we can visit Patan, city of fine arts. In the afternoon, you will be meeting with your trekking guide and will check all the necessary things. Overnight stay at the hotel. Day 03Drive to Barabise Today we drive to Barabise from Kathmandu and get started with the itinerary. Throughout the drive to Barabise, we notice lots of forests and mountains on the way. In Barabise we can take our lunch. Overnight stay at a guesthouse. Day 04Drive to Kabre (1605m) Kabre (1605m) is a beautiful destination to explore the lifestyle of local people and their religious practices. You will find most of the people are engaged in agriculture. There are lots of places to explore in Kabre. Overnight stay at a guesthouse. Day 05Trek to Dolongsa On the 5th day, we trek to Dolongsa from Kabre by ascending through small settlements with Rhododendron forests. Then, we are near to our camp site. Numerous birds can be viewed in Dolongsa. Overnight stay at a guesthouse. Day 06Trek to Bigu Gompa (2310m) This day begins with a vertical ascent towards the magnificent sights of the Himalayas, including Mt Everest (8848m), the world’s tallest peak. You will incline over a superb forest to the monastery of Bigu Gompa (2310m). Overnight stay at a guesthouse. Day 07Trek to Chilangka (1923m) Today, we move downward to Samling Khola (1710m), exploring the landscapes and beautiful views on the way. Overnight stay at a guesthouse. Day 08Trek to Dulong (1890m) Today, we head to Dulong from Chilangka. The trek by characterized by mellow ups and downs with glorious views of Gaurishanker Himal (7145m). Then, you will take your lunch. Overnight stay at a guesthouse. Day 09Trek to Shalu (1500m) Today’s trek is a simple one as you will hike along the comfortable trail, moving mostly effortlessly along the Bhote Koshi to the village of Jagat. After Jagat, it is an easy walk upstream towards the campsite at Salu. Overnight stay at a guesthouse in Salu. Day 10Trek to Simigoan (2000m) Today, we trek to Simigoan from Shalu after taking breakfast in the morning. The day begins at a relaxed pace hiking along the river. Later, it is a vertical climb to Simigaon and hike up to the Gompa. Overnight stay at a guesthouse. Day 11Trek to Forest Camp (2800m) On the 11th day, we trek to Forest Camp (2800m) from Simigoan. After you attempt a steep hike, you will arrive striking mixed woodland of diverse vegetation as you hike higher. Then, you will incline for certain period of time which leads to the campsite. Overnight stay at a guesthouse. Day 12Trek to Beding (3694m) Over the next two days, we trek towards Beding (3694m) from Forest Camp. We resume our hike through forest before arriving at an open place in Rolwaling Valley at Ramdung. Beding is the main settlement here in the Rolwaling Valley. Overnight stay at a guesthouse. Day 14Trek to Na (4100m) On the following day, we hike towards Na (4100m) from Beding right after taking our breakfast. You will discover the enormous beauty of the region while moving up the trail and continue the trek you will move uphill along the valley through the Rhododendrons to the summer settlement of Na. Overnight stay in a tented camp. Day 15Rest day On this day you will take rest and feel good so that in next day you can trek towards the Base Camp. If you feel good then you can go and explore around the Na in the evening and can take some photographs. Overnight stay in a tented camp. Day 16Trek to Base Camp On the 16th day you will trek to Base Camp from Na. The trek towards the Base Camp will be exciting and enjoyable. You will find this trek as an interesting and it will remain in your memory. Overnight stay in a tented camp. Day 17Trek to High Camp The next day, you will ascend towards the High Camp from the Base Camp after taking breakfast in the morning. Comparatively you will find this trek a little bit more difficult than the Base Camp, though not too strenuous. Overnight stay in a tented camp. Day 18Climb the peak and back to Base Camp This is an exciting day, the highlight of our trek. where you will climb the peak after taking a breakfast. You will get to see the panoramic views from the top. Capturing the moments and enjoying every bit of it you will return to the Base Camp. Overnight stay in a tented camp. Day 19Free day You have ascended the peak on the 18th day, so you will take some rest on the 19th day. Though this trek is not a difficult one, you do require some rest during the itinerary. It’s all up to you in what way you are interested to spend your free day. Overnight stay in a tented camp. Day 20Trek to Yalung-La From the Base Camp you will trek to Yalung-La. 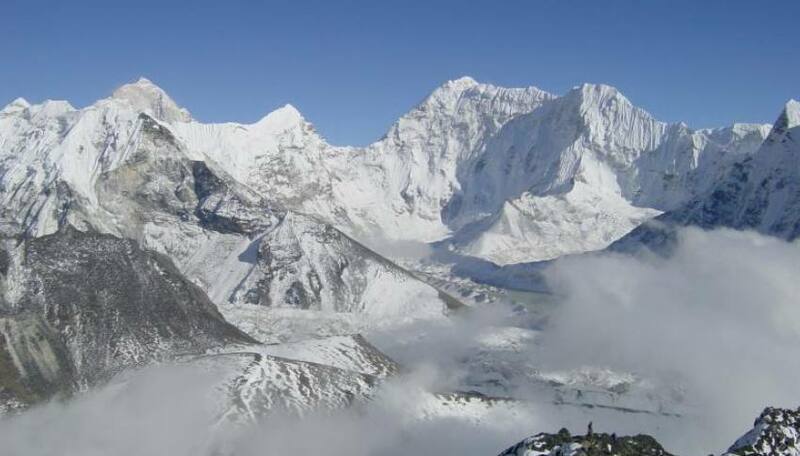 Yalung-La is an attractive place where you will see the mountains covered with white snows. Overnight stay in a tented camp. Day 21Trek to Chetchet (1500m) On this day you will trek to Chethet (1500m) from Yalung La. Chetchet is a destination which should not be excluded from the itinerary. Trekking in Chetchet is a thought-provoking place which will attract you. You will take rest on the way to it and have your lunch. Overnight stay at a guesthouse. Day 22Trek to Chetre (1000m) On this day you will trek from Chetchet to Chetre (1000m) by descending. You will cross from side to side some of stimulating villages of medieval manifestation. Here, you can take some beautiful photographs as you arrive at Chetre. Overnight stay at a guesthouse. Day 23Trek to Dolakha (950 m) This day, you will carry on laterally towards the valley which is more popularly known as Tama Koshi. Crossing over the exciting forest, you will touch Dolakaha. Though located nearby the capital, Dolakha is not that developed and is in some ways still remote. You can even visit the religious temple located in Dolakha. Overnight stay at a guesthouse. Day 24Drive to Charikot (200m) From Dolakha, you will descend towards the vertical trail after taking breakfast in the morning. Charikot, the district headquarters of Dolakha, is another beautiful and refreshing place where you will almost get lost enjoying the beauty of the place. On the way to Kathmandu you will take your lunch prepared in a traditional kitchen. Overnight stay at a guesthouse. Day 25Drive to Kathmandu. The next day, you will drive back to Kathmandu from Charikot along the Araniko Highway. It is a picturesque drive to Kathmandu as you will enjoy the journey. Arriving in Kathmandu you will take rest be ready for the farewell dinner in the evening. Overnight in hotel. Day 26DepartureWe will transport you to the airport. Thanks for trekking with Adventure Himalayan Travels and Treks. We look forward to seeing you again!